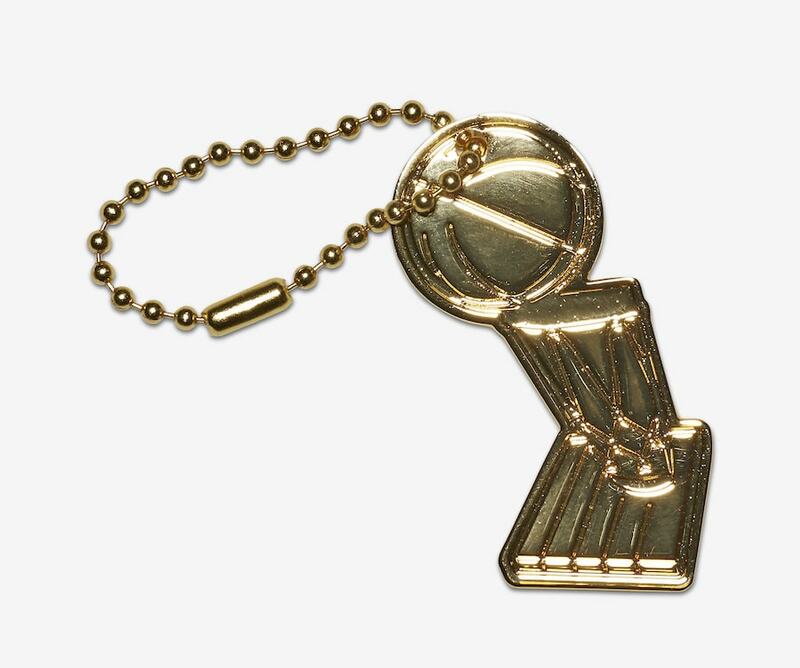 Kevin Durant is easily one of the best NBA players currently in the league. 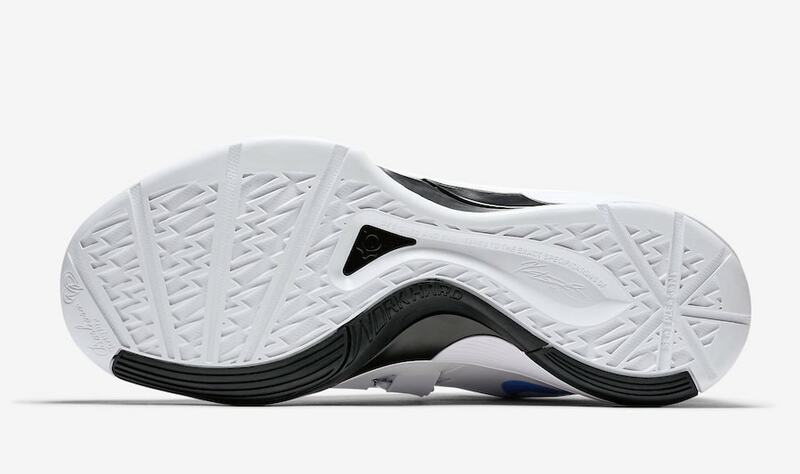 Similarly, his line of signature sneakers with Nike is one of the most memorable. 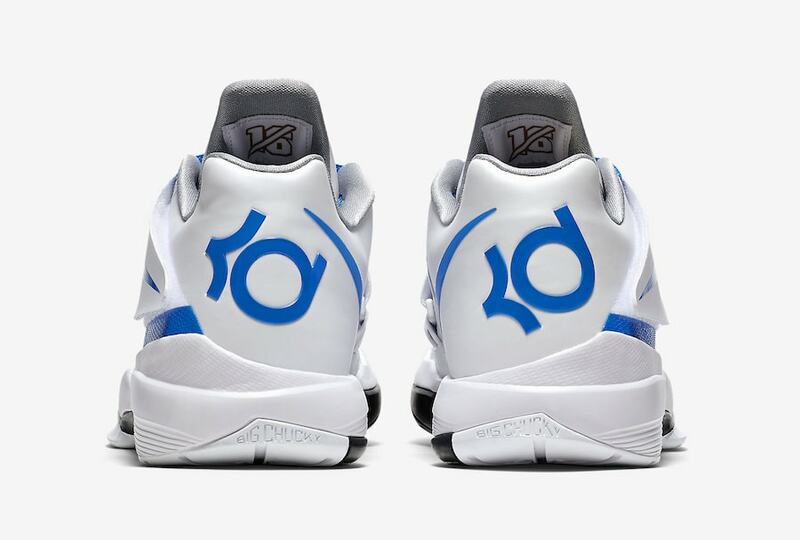 Today, Nike revealed official images of the first ever KD4 retro, in a new “Thunderstruck” colorway. Nike is crossing into new territory with the “Champions Think 16” collection. Announced this week, the pack turns 16 legendary Swoosh silhouettes into special edition exclusives for their NBA and WNBA athletes. 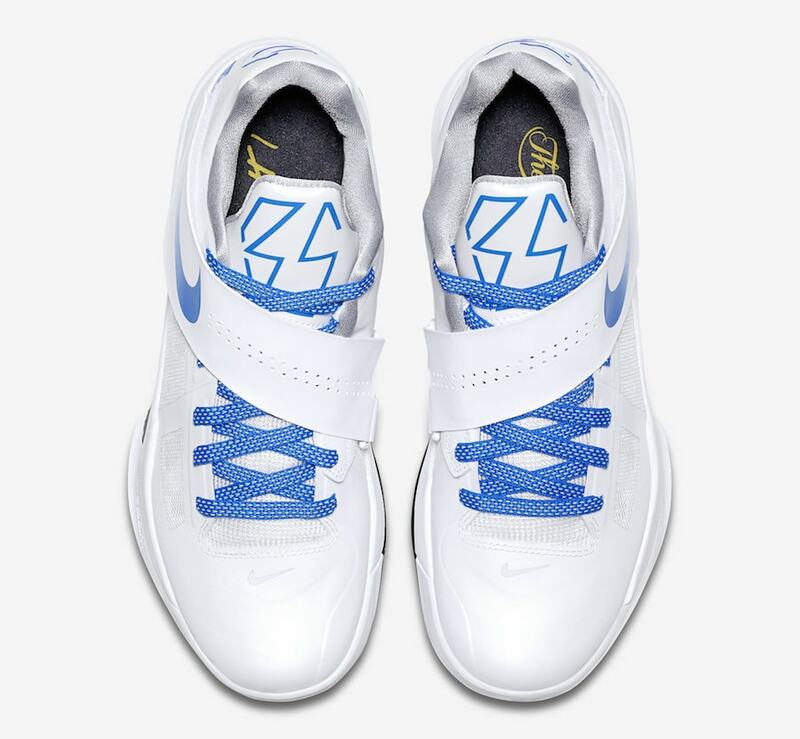 Included in the pack are several shoes that have never been retroed before, including the Nike KD4 QS “Thunderstruck”. 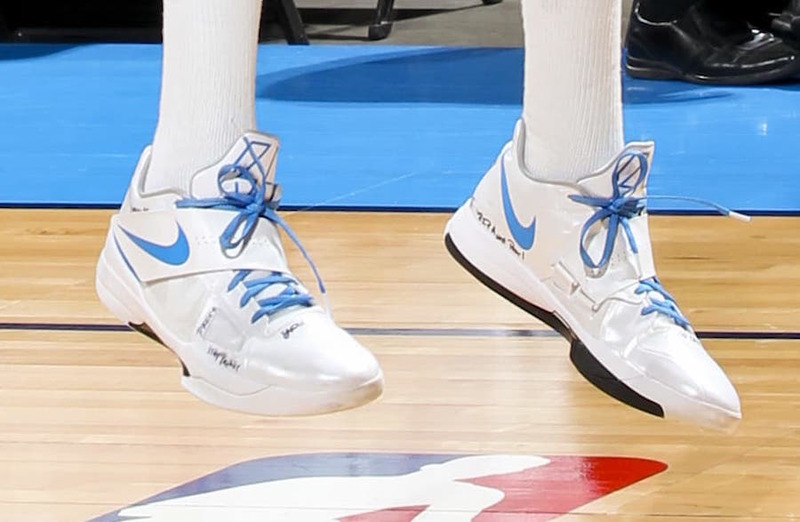 The KD4 is one of the most popular silhouettes from the dominant forward, and fans have been begging for the shoe to return for years. 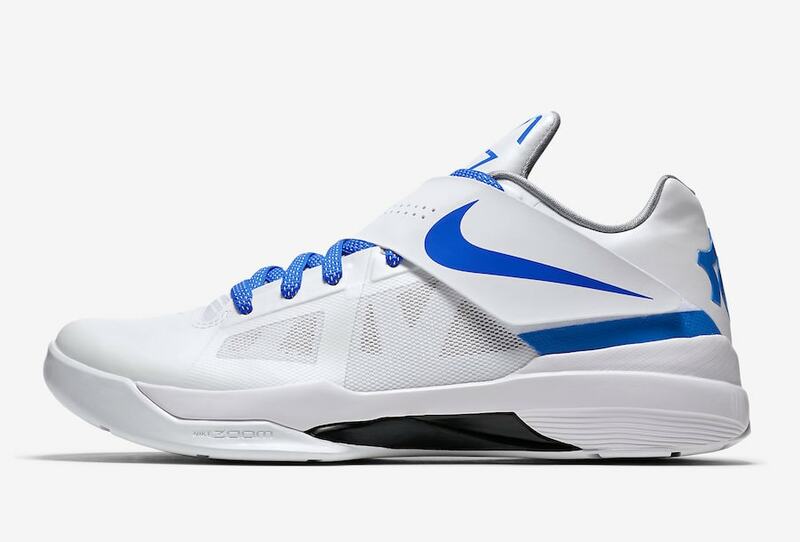 The new colorway of the Nike KD4 is almost entirely blanketed in white. 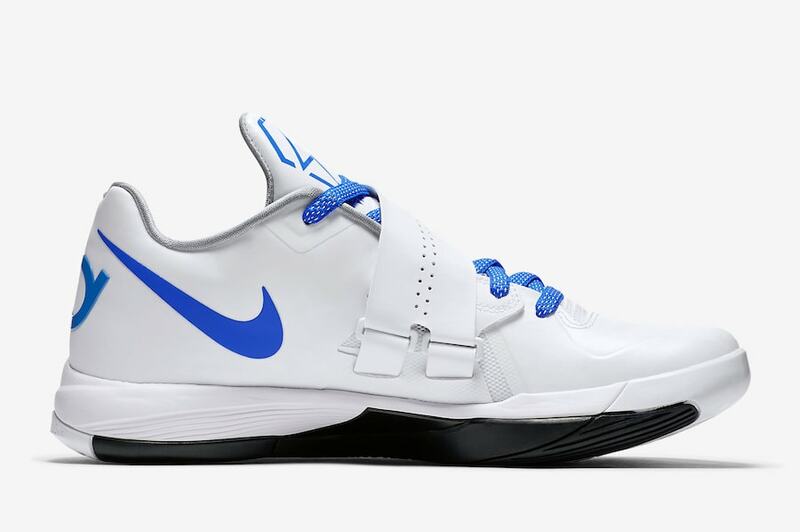 To add color to this fresh look, the Swoosh, laces, and KD branding on the tongue and heel are all featured in a bright blue tone. 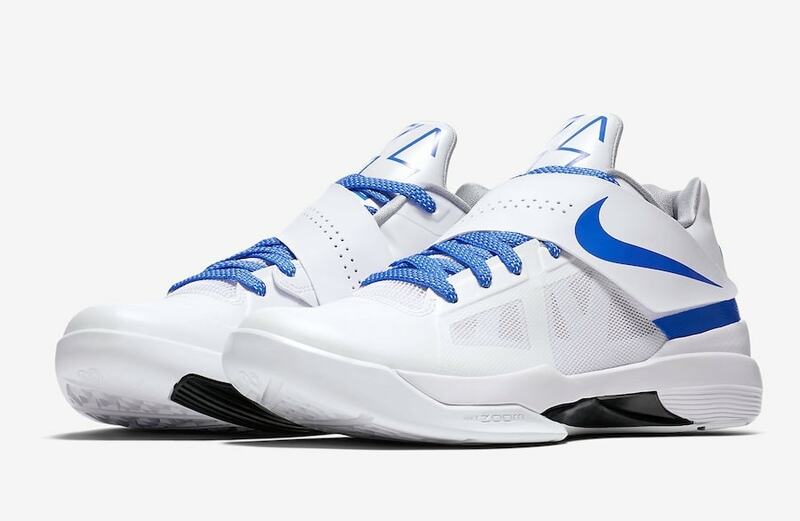 The “Thunderstruck” name given to this KD4 Quickstrike is a nod to Durant’s explosive Game 6 of the 2012 Western Conference Finals, propelling the OKC Thunder to the Finals. The entire “Think 16” collection will release in limited numbers but expect the KD4 pair to be even harder to obtain. The first-ever Nike KD4 retro will arrive in stores on June 7th, 2018. The brand new “Thunderstruck” colorway will retail for $140 from both Nike SNKRS and select retailers. 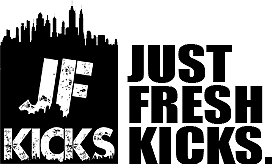 Check out the official images below for a better look, and stay tuned to JustFreshKicks for more Nike “Think 16” release dates.